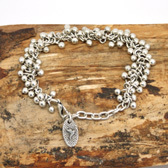 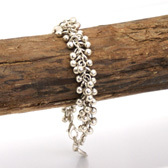 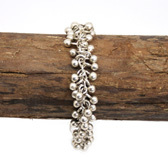 This fabulous silver plated bracelet from Treaty features clusters of small ball shapes that create a unique design. 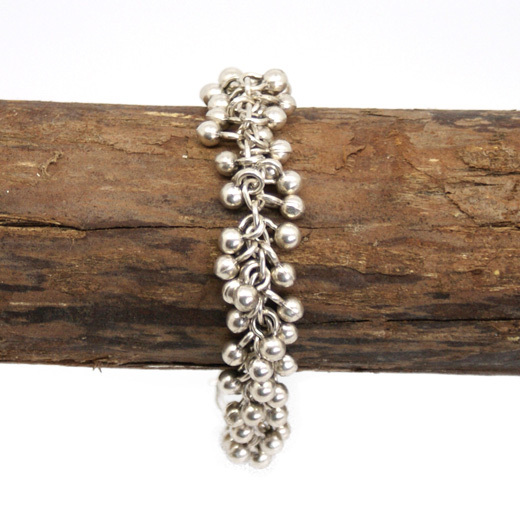 The bracelet is hand made in Turkey using age old techniques and is lead and nickel free. 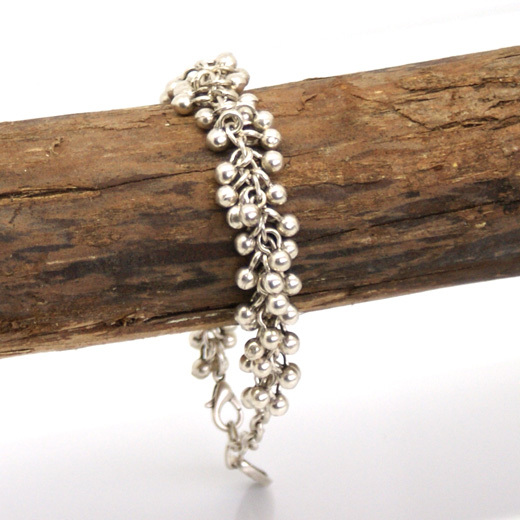 It would be a beautiful addition to any outfit and would make a lovely gift. 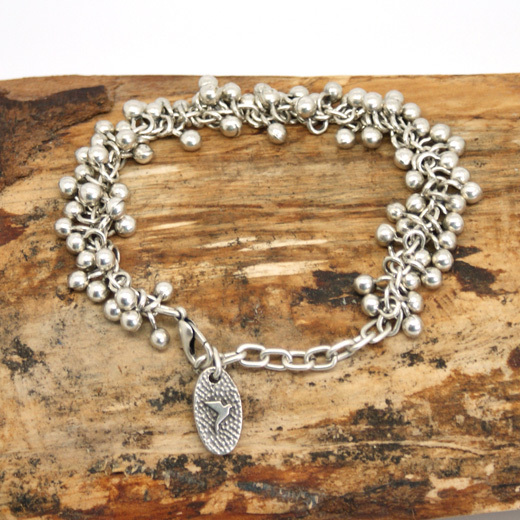 We have a matching necklace and earrings here.